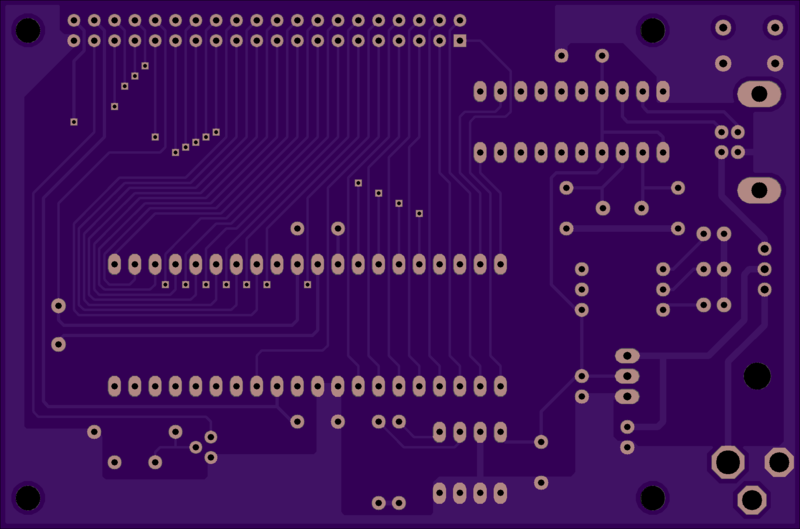 2 layer board of 3.94 x 2.60 inches (100.0 x 66.0 mm). Uploaded: June 17th, 2016 08:41. 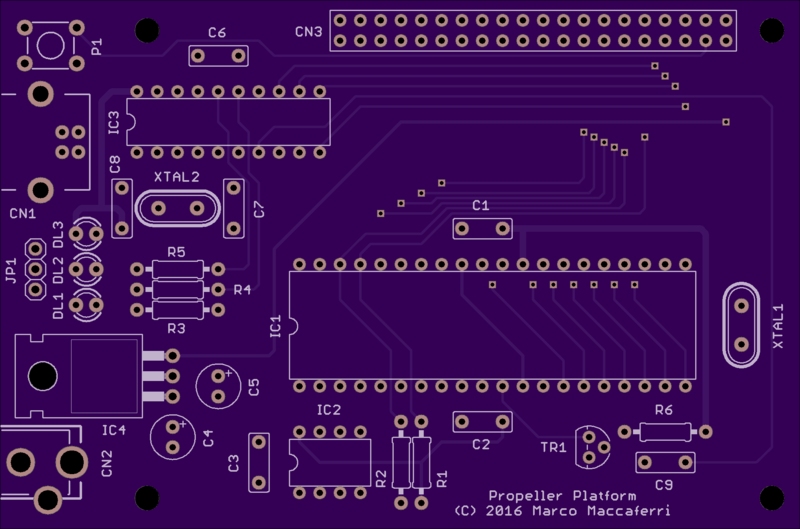 Development platform for Parallax Propeller microcontrollers. C4 = 10 uF 63v elettr. C5 = 10 uF 63v elettr.